Japan...what a country! 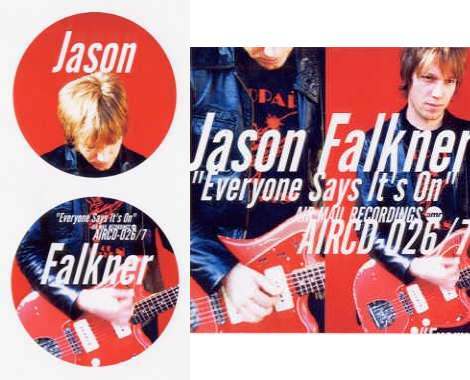 So far it's the only one with the insight to realize there is a deceptively eager population of Jason Falkner fans out there who have been anxiously awaiting a release like this for years, biding their time with silly little files called mp3s. After listening to all 24 glorious "officially released" tracks in a row, I really can't think of anything better. Disc 1 is the covers portion, and starts off with a great studio-sounding version of "Great Big Yes," followed by a similar quality version of "Song For Her," different from the version released on Songs For Summer, and different than the demo version provided to us on Necessity. Next is a great early demo of "Eloquence" with a few surprise lyrics. The demo of "She Goes To Bed" is the same one on Necessity, as is the version of "His Train." Another early Can You Still Feel? take is offered up next with "All God's Creatures." A priceless early take of "Upside Down Frown" follows, full of lush lyrics abandoned in the later versions. "Became Anita Captured" is another early demo version, fully electrified and built upon a bouncy melody. The takes of "I Live" and "Miracle Medicine" that follow are the same as on Necessity (and for you JELLY-L members out there, are the same versions that are up on the Jellyserver). Next up is a gorgeous early take of "Revelation" which features Jason's haunting vocals and a driving drumbeat. One of the real treasures of this compilation is an old demo of a Grays tune, "Friend of Mine." The last song on disc 1 is "Down At the Lake" first issued on Lovitt's 7-inch of "Holiday." The all-covers disc 2 jump starts with a rockin' new version of Joni Mitchell's "Both Sides Now," with updated guitar work and vocals. The version of the Kink's "Wicked Annabella" is the same version on the Australian single of "Follow Me," and Brian Eno's "Burning Airlines" is the same version released on the LP release of Can You Still Feel? Next is a true gem: an acoustic studio take of Tom Wait's beautiful "Johnsberg, IL" with a gorgous piano outro. (My only complaint is it needs about 20 more verses, it's too gorgeous of a song to last under 2 minutes!) Next is another wonderfully melodic song, the Left Banke's "Pretty Ballerina" (another Jellyserver track). Magazine's "Song From Under the Floorboards" follows, the same version as originally released on the UK single of "I Live." The next track is Essential Logic's groovin' "Fanfare in the Garden" and the Swell Map's "Midget Submarines" (both Jellyserver tracks). The next track is the Strangler's "Goodbye Toulouse" (pow! ), a song I'd never had the pleasure of hearing until now. The "last" track on this disc is the Monochrome Set's "Tomorrow Will Be Too Long" (another Jellyserver offering). As a grand finale, a surprise bonus track has been tacked on to finish off this lovely 2-disc compilation, but I'm not one to spoil a surprise. And that's it kiddies! Only 4 of the songs on "Everyone Says It's On" are also on "Necessity," and only 6 others have been officially released only on hard-to-find cd singles, LPs, or various artist compilations. The majority of the songs on this Japanese release will be new to the ears of the average falknerd as well as the obsessive collector. 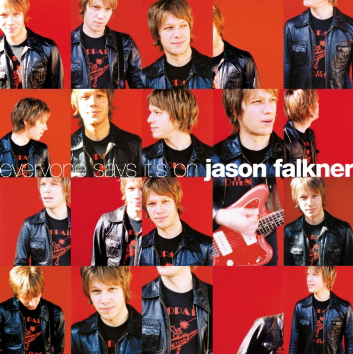 I think you'll all find this great collection of Falkner tunes as enjoyable as I do.